Wire money anywhere … from an Amscot just around the corner. Whether wiring money city to city … state to state … or country to country … you can depend on Amscot for convenient money transfer services via Western Union Money Transfer®. 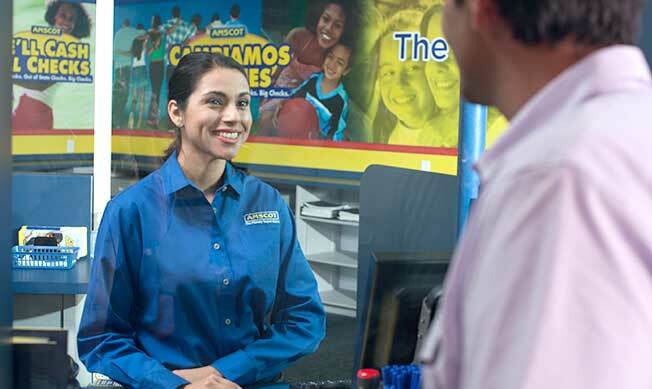 And because we’re open 365 days a year, you can access Western Union services on your schedule at your nearest Amscot branch. Be sure to bring a valid government issued photo ID (driver’s license or passport). You will also need to provide your name, address, telephone number and date of birth. Fees* are determined at the terminal by Western Union at the time of the transaction.